On January 13, 2017, the U.S. Department of Agriculture (USDA) Animal and Plant Health Inspection Service (APHIS) announced major changes to the Horse Protection Act, a law that was enacted in 1970 in response to the scourge of soring in the Tennessee Walking Horse show community. Many of these regulatory changes had been previously proposed in the Prevent All Soring Tactics (PAST) Act, a bi-partisan bill that was introduced in Congress twice in both the House and Senate beginning in 2013, but never reached a full vote. Soring is the use of chemicals or other devices to cause pain in the front legs or feet of a gaited horse, which causes them to exaggerate the high, reaching action that is considered desirable in some Tennessee Walking Horse show divisions, sometimes referred to as “big lick” classes. The Horse Protection Act made the practice illegal at the federal level and set up a system of testing horses for signs of soring. Nearly 50 years later, the HPA has not eliminated soring. In some cases, trainers have come up with stealth methods of soring that aren’t as easily detected. But perhaps more importantly, the HPA’s original system required the industry to largely police itself through a system of Designated Qualified Persons (DQP) serving as inspectors. USDA inspectors attend some Walking Horse shows, but most competitions have DQP who are trainers or exhibitors themselves, opening the door to a conflict of interest. Under the updated rules, all inspections will be performed by independent, third-party inspectors licensed and trained by APHIS. The eligibility for these Horse Protection Inspectors (HPI) will be established to reduce conflicts of interest. 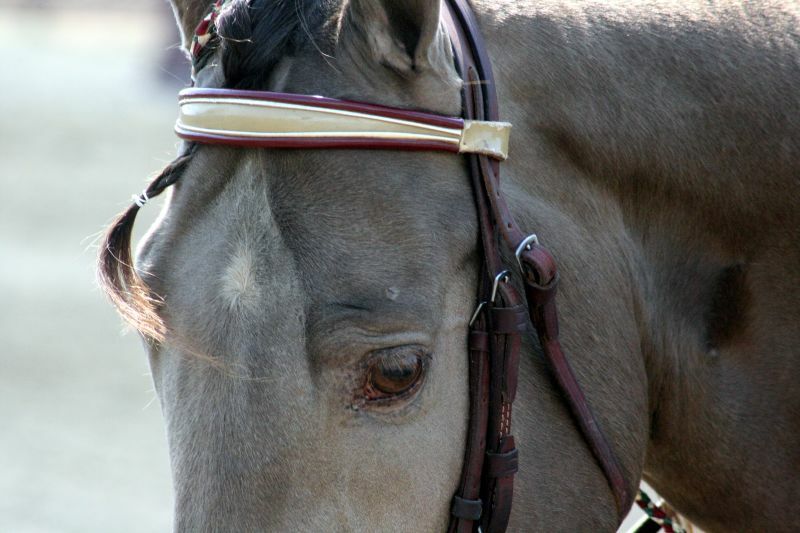 Since the licensing procedure is new, it will take time to establish a pool of HPIs available for horse shows. This part of the rule change will take effect on January 1, 2018, so that horse show managers will be able to comply. The stacked pads that performance Tennessee Walking Horses and some other gaited breeds use are a visible symbol of the training and shoeing techniques that have put these horse shows on the radar of animal welfare activists and the federal government. Those stacks will soon be gone, along with the chains previously used around horses’ ankles in some classes. The stacked pads themselves, while unorthodox by general horseshoeing standards, are not the same thing as soring and on their own don’t necessarily cause pain. Soring can also be done without pads, so eliminating stacks won’t end the practice. However, one soring technique is to place an object in between the pad and the sole of the hoof, causing pain when the horse puts weight on the affected hoof. Eliminating pads will likely eradicate that practice. Similarly, the chains around horses’ ankles alone aren’t considered soring. But when chemicals are applied to a horse’s legs to make them more sensitive, the chain hitting the affected area does cause pain, and so eliminating chains will close the door on one more avenue for abuse. The ban on chains will go into effect 30 days after the rules have been published in the Federal Register, which is expected to happen in the coming days. The shoeing rule change will not take effect until January 1, 2018, to allow owners time to safely reduce their horse’s padding over time. A pad between the hoof and horse shoe can be used to provide some cushioning and protection for the sole of the hoof, and that can be the difference between a horse being sound to ride and a horse who is put out to pasture. The changes to the HPA do allow pads or wedges if they are being used for a legitimate veterinary purpose. This is not a loophole that will allow trainers with veterinary connections to keep using stacks; therapeutic pads are most often just a single pad, very different from what is seen in the performance Tennessee Walking Horse ring. The rule also specifies two types of horses: Tennessee Walking Horses and racking horses. When the changes were first proposed, the wording was more broad, and there was concern among exhibitors of trotting breeds in the saddle seat discipline, namely American Saddlebreds, Morgans, Hackney Ponies and Arabians, that they would be subjected to inspections, too, which hasn’t been the case in the past. 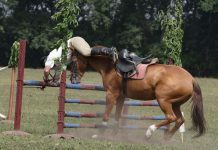 Although those breeds are often shod for the show ring with pads, they don’t use stacks or chains in the show ring and soring has not been an issue within those circuits. Soring techniques are somewhat disguised by the head-bobbing gait of a Walking Horse, but the lameness would likely be evident at the trot. Although many riders already compete in flat shod divisions at Walking Horse shows, supporters of the big lick classes argue that banning pads and chains will lead to the end of their horse shows and the careers of people employed by show barns and related services. Mike Inman, CEO of the Tennessee Walking Horse National Celebration, the breed’s national championship, told News Channel 5 that he and other groups will sue the USDA if the rule isn’t stopped. Until then, he’s putting his faith in President Elect Donald Trump to overturn the rule, pointing to Trump’s promise to overturn every “unconstitutional executive action, memorandum and order” issued by President Barack Obama. I think its terrific. Hope you can write about horse tripping sometime.